Iran was chosen as the host country during the FIDE Congress in Baku last week after no other country bid to host the event. In February next year Iran will host a rare international women’s event- the world chess championship. Though, the tournament is still four months away, the tournament has created a buzz around the world. There is skepticism, outrage and plain amusement over Iran’s insistence on all women, including visitors, wearing hijab in public. Failure would result in a fine or a prison term. A day after Iran was awarded the championship, US champion Nazi Paikidze pulled out. Many may take her lead. 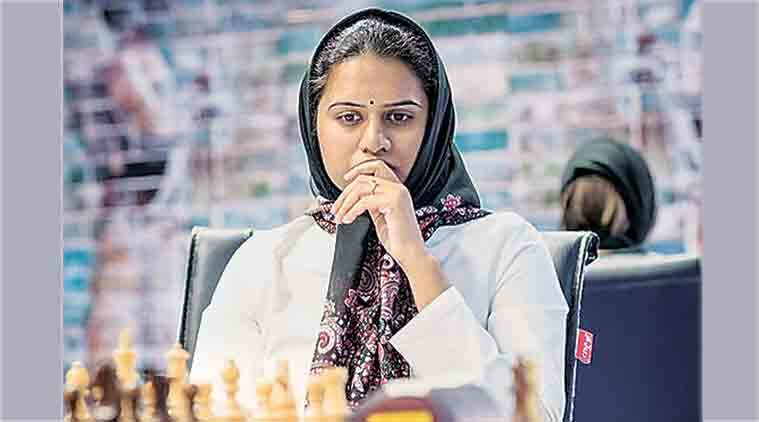 Paikidze, the highest-ranked American, said she would ‘rather risk her career than be forced to wear a hijab.’ Indian Grandmaster Koneru Humpy, who has decided to compete, recalled how ‘uncomfortable’ it was during a Grand Prix in Iran earlier this year.